As the use of pesticides is a passionately debated subject, it is important that we look at the whole picture. 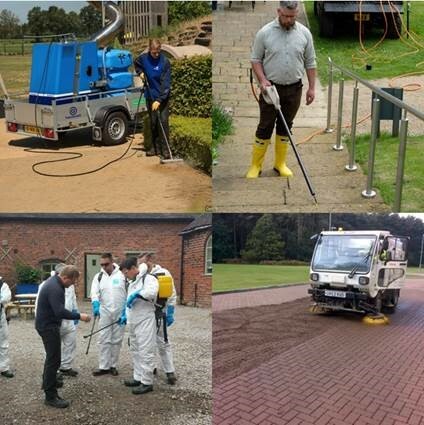 The use chemicals in conjunction with non-chemicals alternatives creates an integrated approach to weed management which is not only effective but also sustainable. • Understand the changing nature of weed control policy and practice, appreciating the importance of keeping up to date through additional training and refreshers. Individuals at our Allscott training centre. On-site to groups, Email info@groundstraining.com for a quote stating how many people you anticipate will attend.